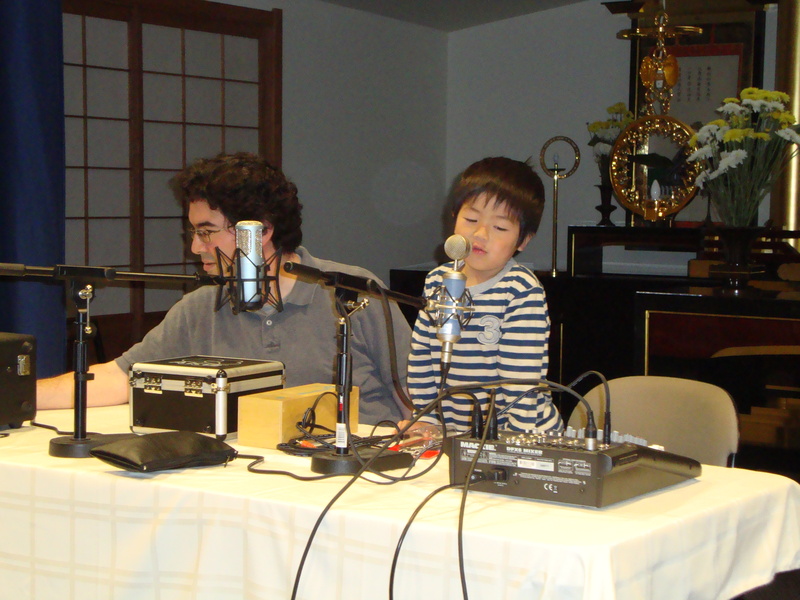 On Friday October 2, we did our first recording before a live studio audience. 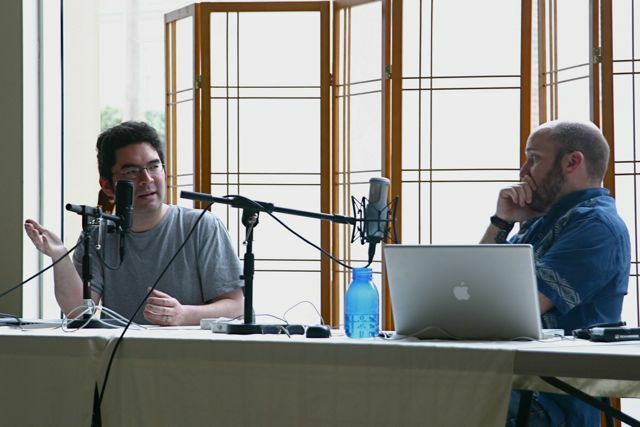 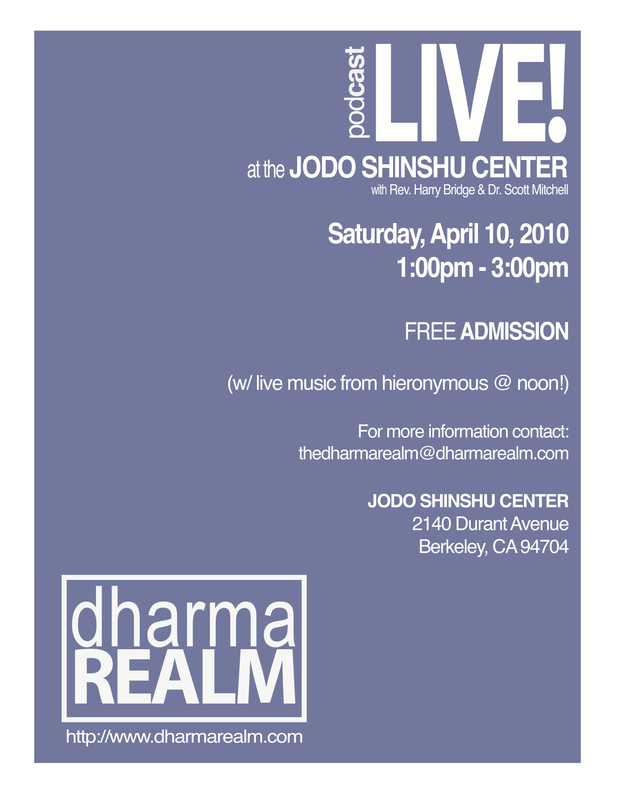 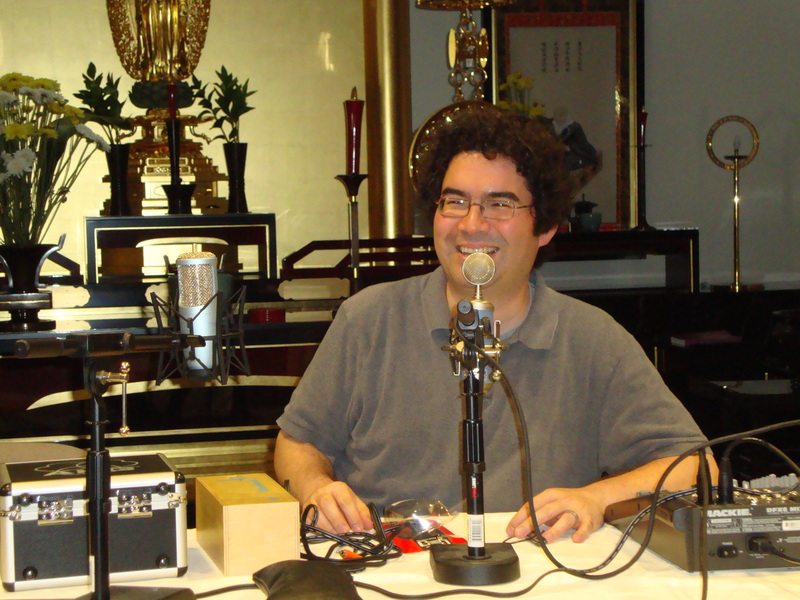 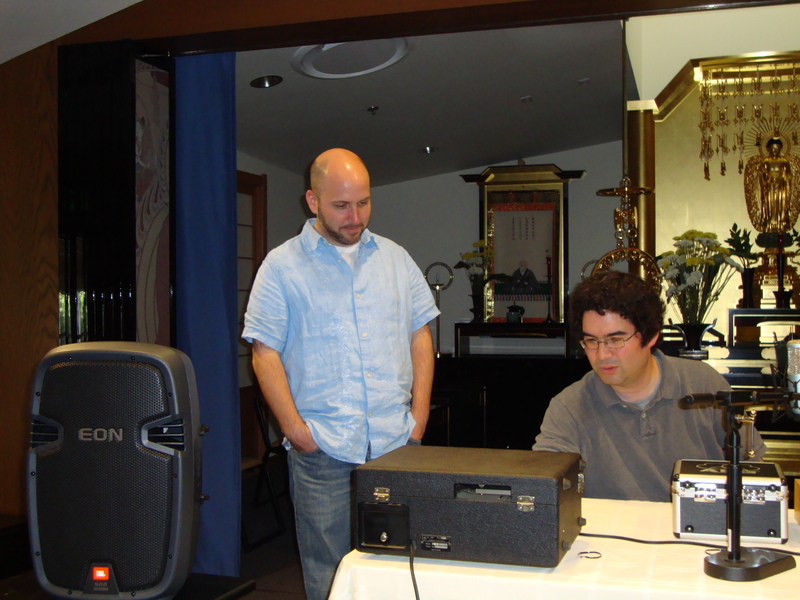 Setting up in the Kodo of the Jodo Shinshu Center, Harry and I did a little live mixing of our theme music before launching into a regular podcast, this one inspired by a listener question. 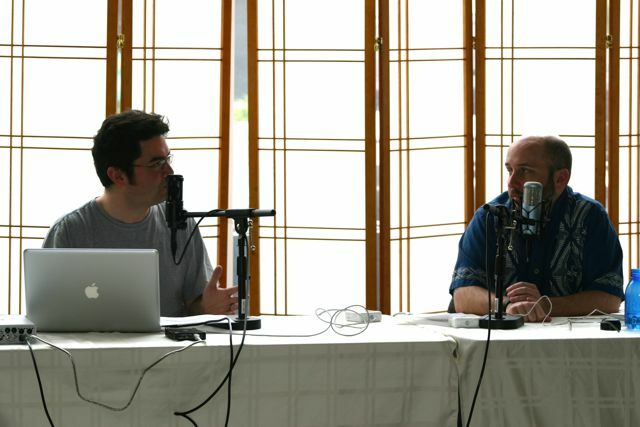 The question? 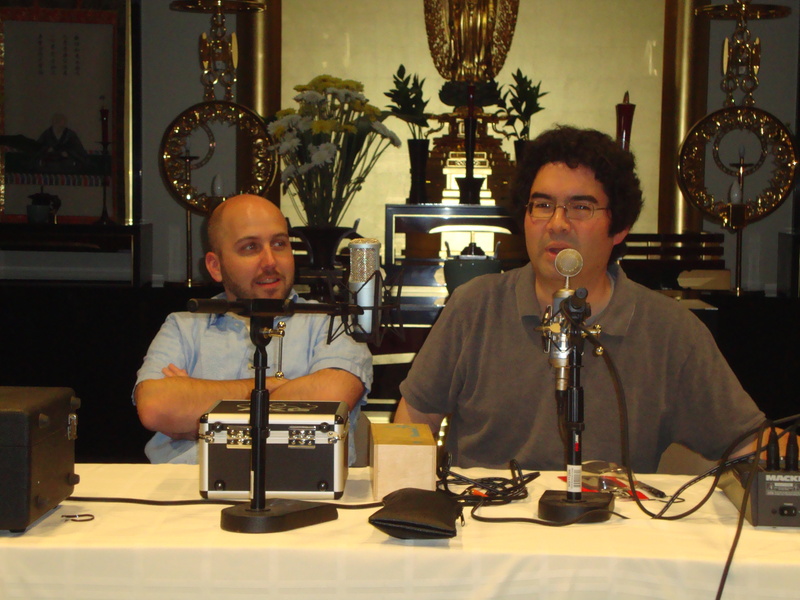 What’s the Pure Land?